Posted by Jill S. Schneiderman in book review, history of science, science. This post reproduces a book review that I wrote for Science. (4 NOVEMBER 2016 • VOL 354 ISSUE 6312). W hen esteemed geologist Walter Alvarez and his colleagues searched the lowlands of Eastern Mexico for ancient debris that had been ejected from the Chicxulub impact crater, they were following in the footsteps of renowned early-20th-century paleontologist Charles Doolittle Walcott. In his own time, Walcott wandered the Canadian Rockies seeking Cambrian-aged fossils that could shed light on this crucial time period when multicellular life began to flourish. As recounted in his obituary, “One of the most striking of Walcott’s faunal discoveries came at the end of the field season of 1909, when Mrs. Walcott’s horse slid in going down the trail and turned up a slab that at once attracted her husband’s attention. 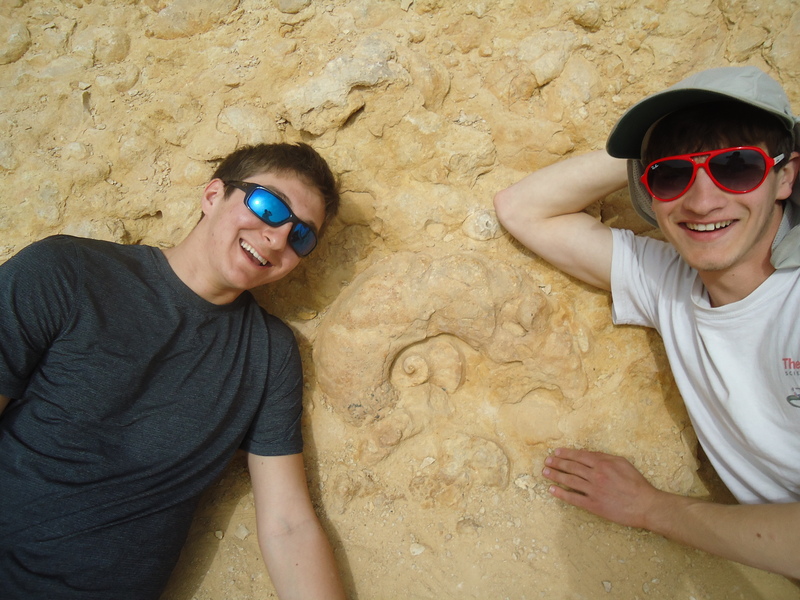 Here was a great treasure—wholly strange Crustacea of Middle Cambrian time…. Snow was even then falling, and the solving of the riddle had to be left to another season.” Serendipity combined with persistence eventually led Walcott to one of the most important discoveries in the history of geology—the softbodied fauna of the Burgess Shale. In the case of the Alvarez group, two broken jeeps on the last day of the field season of 1991 nearly prevented the researchers from reaching the strange sand bed that Alvarez had chanced to read about in a book about the geology of the region published in 1936. 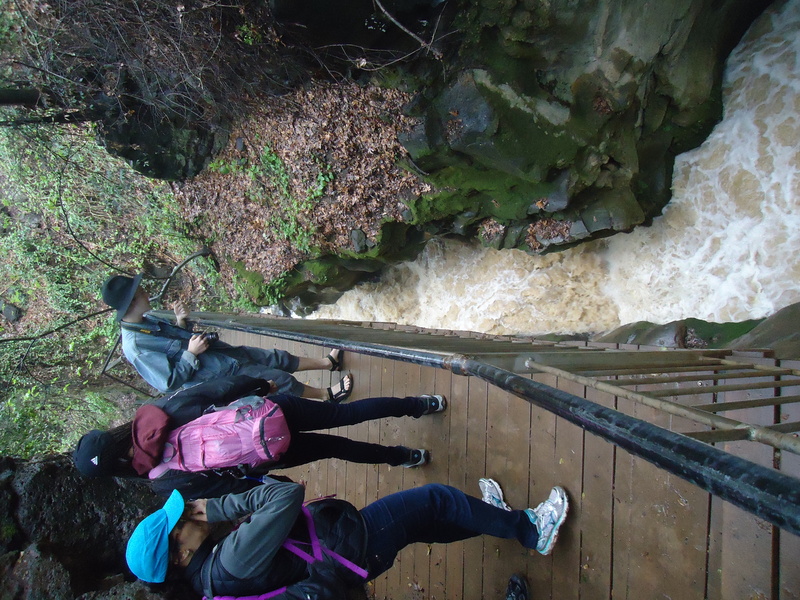 As they “bounced along the rough road following the Arroyo el Mimbral, worrying as the Sun got lower in the sky,” they came upon a layer of glass spherules exposed in a steep bluff along the dry river bed. They suspected that the spherules were droplets of impact melt—“the most wonderful outcrop I have seen in five decades as a geologist,” writes Alvarez in his new book, A Most Improbable Journey: A Big History of Our Planet and Ourselves. Alvarez is best known for helping to establish that a meteor struck the Yucatán, causing the mass extinction of half the genera of animals on Earth. In A Most Improbable Journey, he tells the story of the cosmos, Earth, life, and humanity using the interdisciplinary approach of Big History, which combines traditional historical scholarship with scientific insights. Alvarez aims to instill in his readers a sense of wonder that, despite enormous odds, there exists a planet (Earth) supremely suited for life. At the same time, he seeks to cultivate an expanded view of the nature of history, replete with contingency and consequent improbability, and to foster appreciation for the enormous stretches of time and space across which history has unfolded. Throughout the book, Alvarez uses evocative phrases and images: History is “violent and chancy,” rocks “remember [their] history,” and mountains “are not wrecks—they are sculptures.” Compelling images of rock and architectural engravings, relief and sketch maps, and historical photographs and drawings enrich the discussion but, unfortunately, are not referred to directly in the text. Alvarez invites his audience to read the book chapters in any order. Though I chose to read the book cover-to-cover, each chapter does indeed stand alone and therefore lends itself to this type of engagement. The book contains an appendix of resources that Alvarez annotates thoroughly, and it acts as an additional chapter that readers will likely enjoy perusing. The paleontologist and historian of science Stephen Jay Gould wrote in an essay about the discovery of the Burgess Shale fauna, “So much of science proceeds by telling stories…. Even the most distant and abstract subjects, like the formation of the universe or the principles of evolution, fall within the bounds of necessary narrative” (1). In A Most Improbable Journey, Alvarez harnesses such narrative, enabling readers to experience the power of Big History. REFERENCES 1. S.J. Gould,“Literary Bias on the Slippery Slope,” in Bully for Brontosaurus (Norton, 1992). Here in La Paz Centro, Nicargua, at the Artists for Soup center, women in a biointensive gardening collective are growing food for their families, making art with their children, cooking with solar ovens they’ve made for themselves and networking with other Nicaraguan groups on resource issues and sustainability issues. It may seem a bit odd for a blog that aims to understand Earth’s truth to tout augmented reality when the actual reality of Earth has plenty to teach. Yet, here in the Earth Science program at Vassar we have an amazing new toy, an augmented-reality sandbox that enables us to mold a 4′ x 4′ box full of play-sand into valleys, mountains and craters. We can watch the transformation of the landscape in real time rather than over the course of millions of years. Our kinesthetic learners can develop landforms in which contour intervals change depending on the proximity of one line of elevation to the next. And speaking of kinesthetic learners, for geology attracts many of us, check out Sir Ken Robinson’s TED Talk “How to escape education’s Death Valley.” …and come play in a sandbox! My opinion piece in the Washington Post. July 2015. 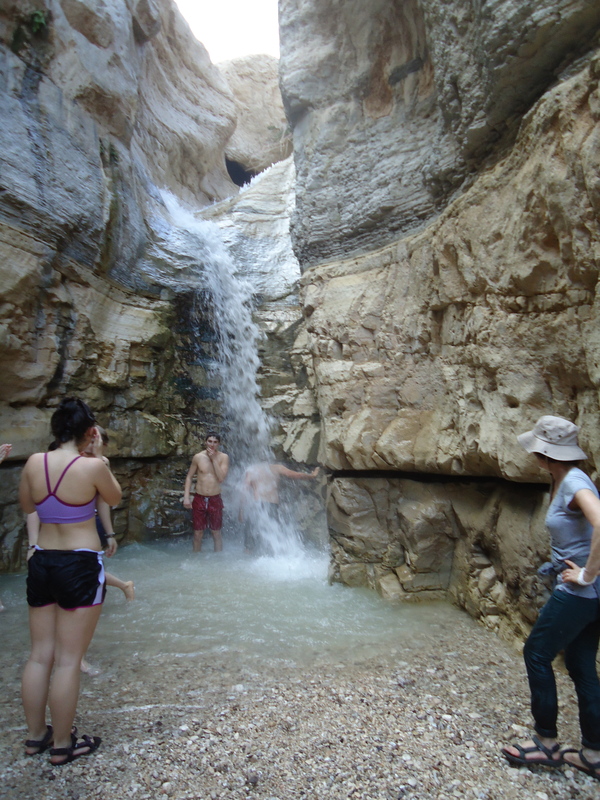 In March 2014, I and my co-teacher stood with 27 Vassar College students at the sparkling Auja Spring in the parched West Bank of the Palestinian territories. 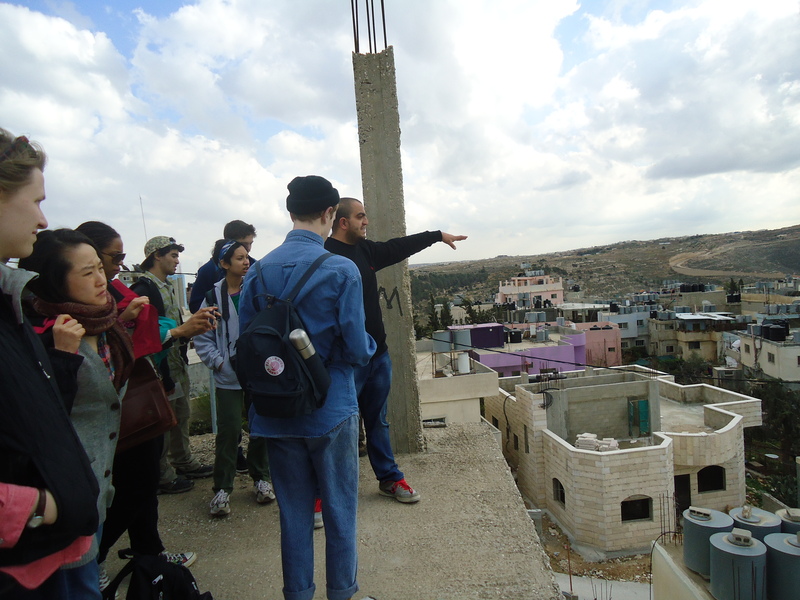 We listened attentively as environmental educators from the Auja Eco Center and a Palestinian graduate student from Al-Quds Universityexplained the Auja village’s dependency on this sole water source. Sadly, this learning experience almost didn’t happen. My colleague and I were nearly prevented from embarking on the trip by opposition from a surprising source: the faculty and students of our own academic institution. I am a tenured geology professor at Vassar , an elite liberal-arts school . 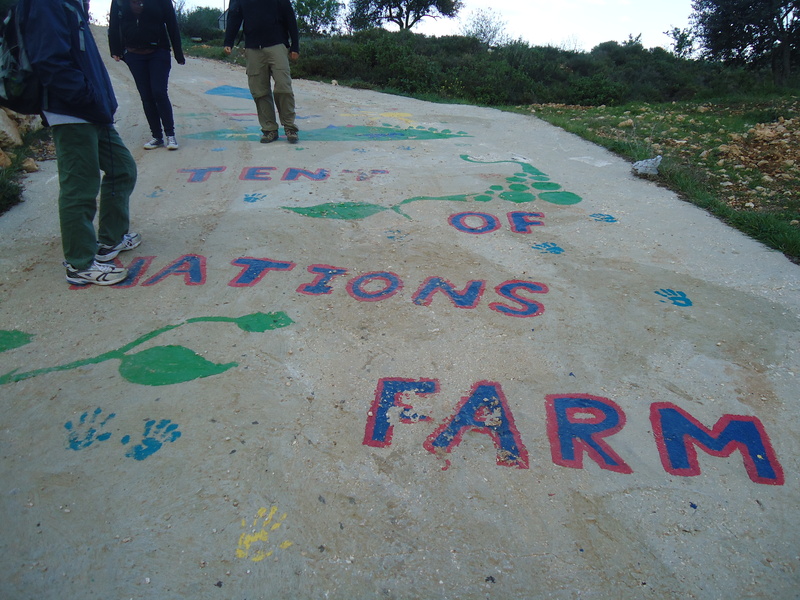 I research, teach and write about the complex and intimate connections between land and water resources and social justice. 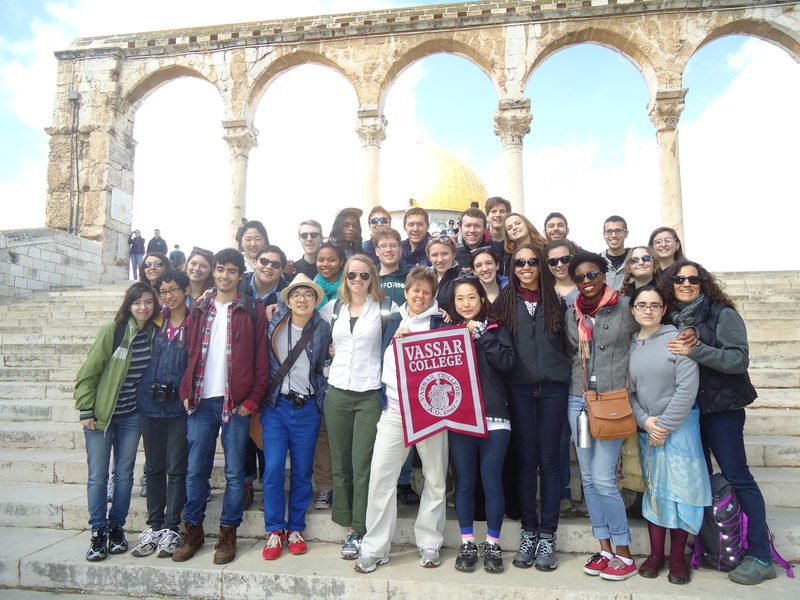 For the study trip I led to Israel and the Palestinian territories, I created a syllabus designed to explore difficult issues and engage diverse perspectives that was vetted by Vassar’s faculty and administration. 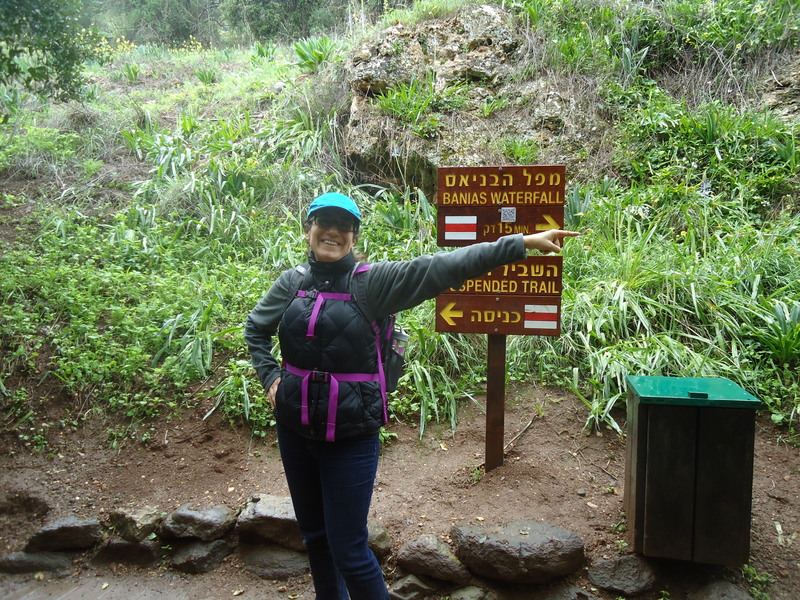 I have successfully led numerous similar trips to locations such as the Appalachian Mountains and the Mojave Desert. My modest goals for such trips are to impart knowledge and share experiences with my students that can be realized only by traveling to the regions we are examining. 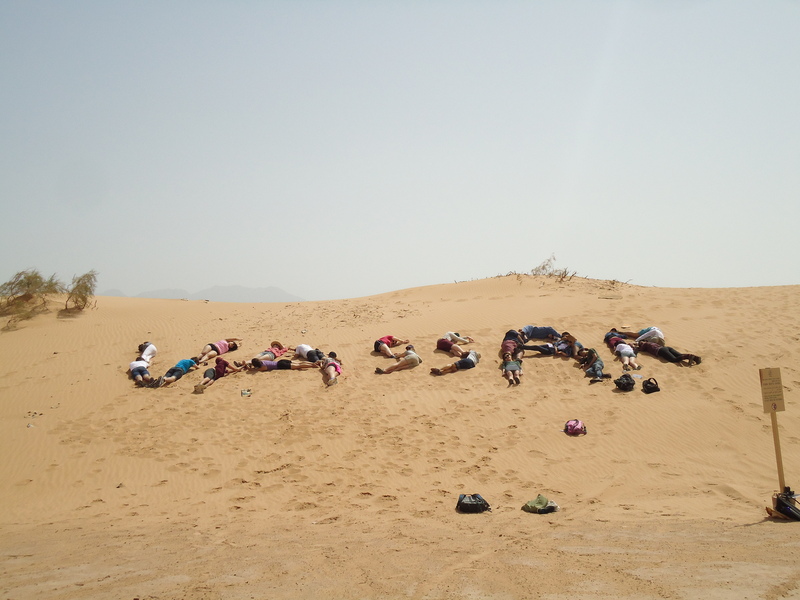 In studying arid regions without seeing the situation with their own eyes, it is difficult for students from places where water is relatively abundant to think about solutions to the problems that occur when local residents must share a meager supply. Several months before my trip, the American Studies Association voted to support an academic boycott of Israel, a position that several faculty members at my college also held. 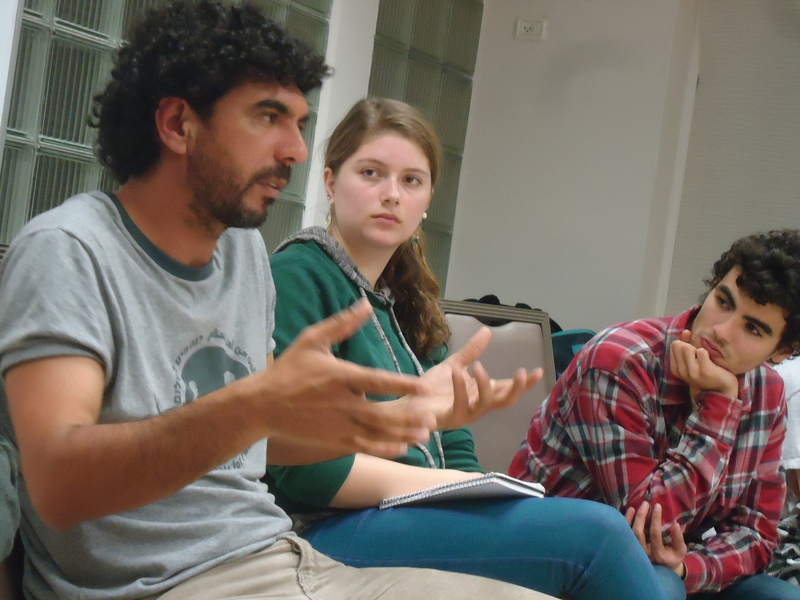 Apparently, my course and the study trip associated with it were subject to the boycott, and the trip became a flash point for theboycott, divestment and sanctions — BDS, for short — debate on campus. Protesters bearing anti-Israel signs stood chanting outside my classroom; students were pressured by their peers to drop the course. My integrity was attacked in a standing-room-only forum at Vassar’s campus center led by pro-BDS faculty members. The stress affected my health, and my faith in longtime colleagues and the college administration was shaken. If not for the support of my family and reluctance to yield to such tactics, I very well might have backed out of the trip. 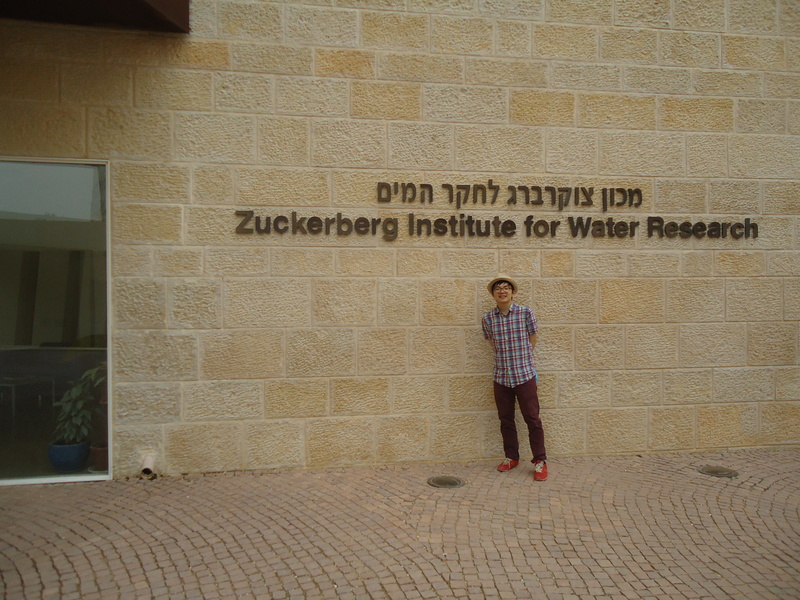 And I and my students would have missed out on an educational opportunity of a lifetime. What are the implications for education when students are pressured to avoid unique and difficult educational opportunities? 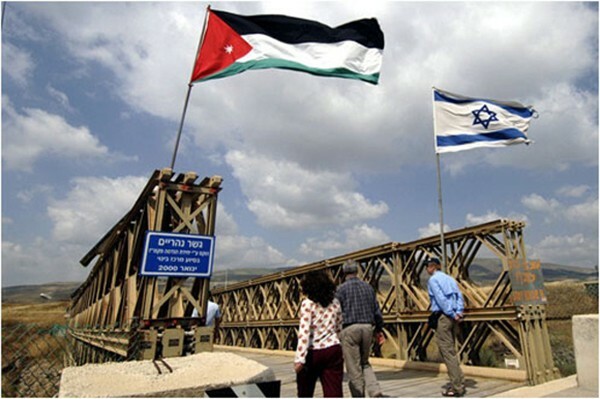 Is it responsible for educators to support an academic boycott — essentially, a boycott of ideas? Isn’t our mission to teach students to engage with ideas that are different from their own? 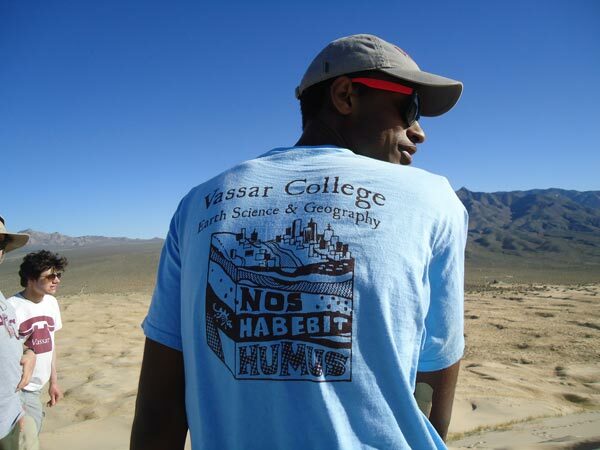 Vassar’s mission statement asserts that the college “nurtures intellectual curiosity” and “respectful debate.” Is it consistent with this mission to restrict study trips to regions of the world where the political landscape is similar to our own (which many would argue has its own share of overlooked injustices)? We are in dangerous territory if our ability to even travel for study’s sake to a politically charged region can be blocked by political agendas. This is not to say that protest does not have its place; of course students should protest and argue about positions with which they disagree. I would have liked for the students holding placards and chanting slogans outside my classroom to come inside and debate in full sentences with a fuller command of the issues at hand. Had they done so, I am sure we would have had some challenging and uncomfortable discussions. But we would have all grown from the exchange, and we would have come closer to fulfilling the mission of my college and educators everywhere. By fostering narrow perspectives, bullying stymies learning and is anti-intellectual. I understand from national reports that what happened at Vassar is happening in some form or another at academic institutions across the country. Instead of working to engage debate and refute contentious ideas, students and faculty are shutting down avenues of inquiry and blocking the attempts of others to examine difficult issues. Though it came at great personal cost, I decided to stick to my educational principles, and I’m glad I did. 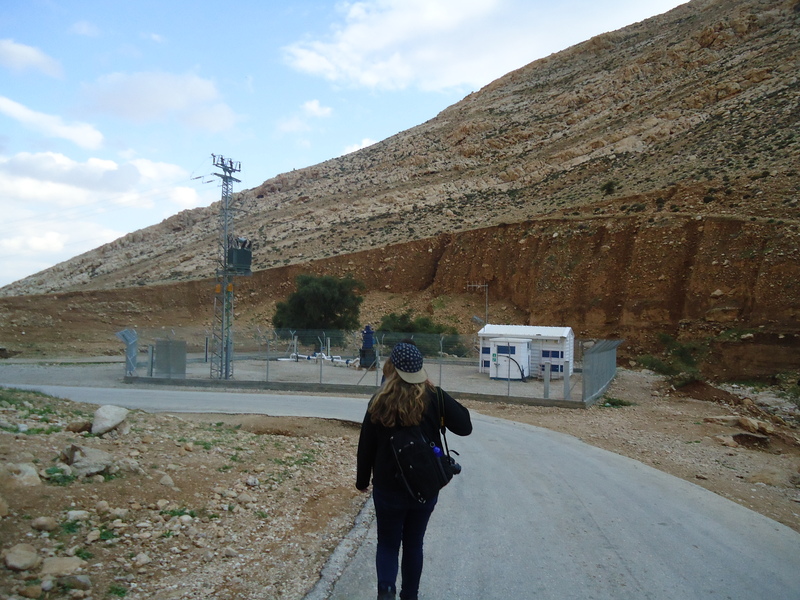 By learning on the ground from Palestinians, Israelis and Jordanians instead of just from texts, my students and I came to appreciate why water issues are central to the conflict in the region. We also learned lessons about principled stances and forms of protest that I never would have thought to put on my syllabus. This is something I would teach again — field trip included — in a heartbeat. “The Campus Crusaders,” by David Brooks (column, June 2), reflected my experience as a geology professor. 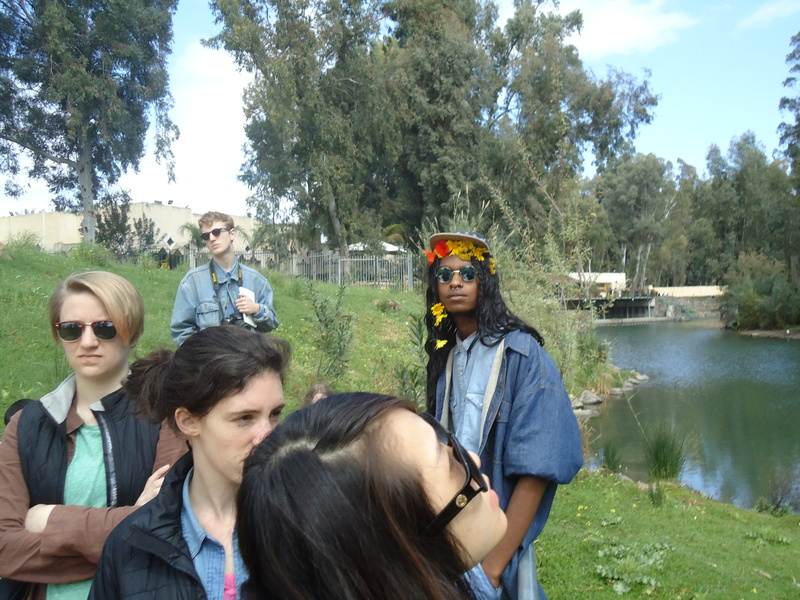 I was nearly prevented from embarking on a study trip with students to Israel and the West Bank in 2014. 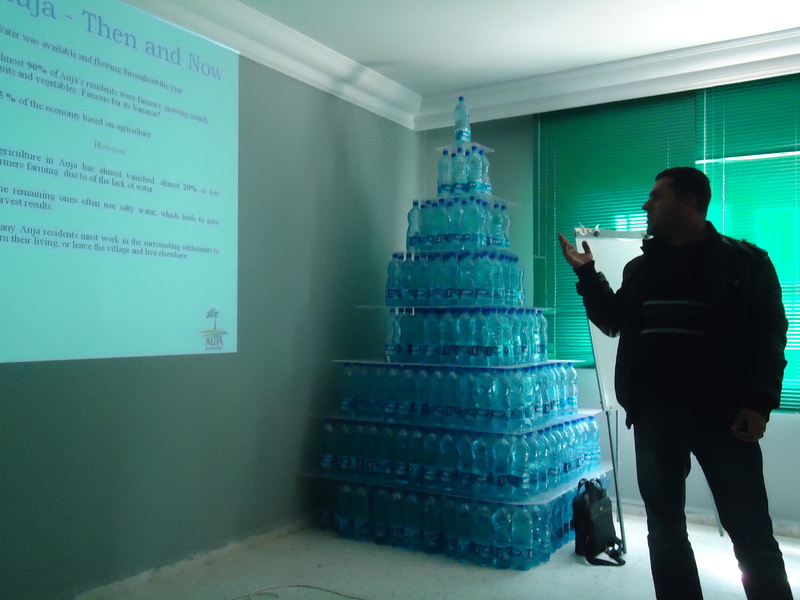 I designed the course to engage hydropolitics from a geoscientist’s perspective. It was approved by the college’s curriculum committee. 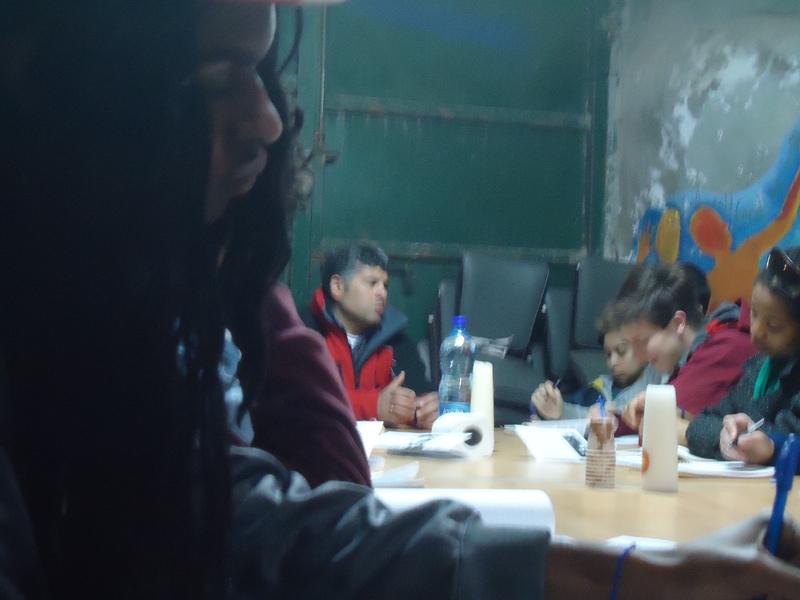 I intended to learn alongside students what could be realized only through travel to regions we explored in our texts. After all, it’s difficult for students from water-rich places to appreciate the reality of villagers sharing meager water supplies from springs or to imagine solutions to these problems without seeing the situation. Owing to the American Studies Association’s vote to support the academic boycott of Israel, my course became a flash point for campus debate. Protesters held placards and heckled my students outside the classroom, urging them to drop the course. I would have liked protesters to enroll in the course and, as Mr. Brooks says, face the “hard truths.” Instead, they tried to shut down avenues of inquiry and block others’ attempt to examine tough issues. The writer is a professor of earth science and geography at Vassar College. And while I’m at it…. 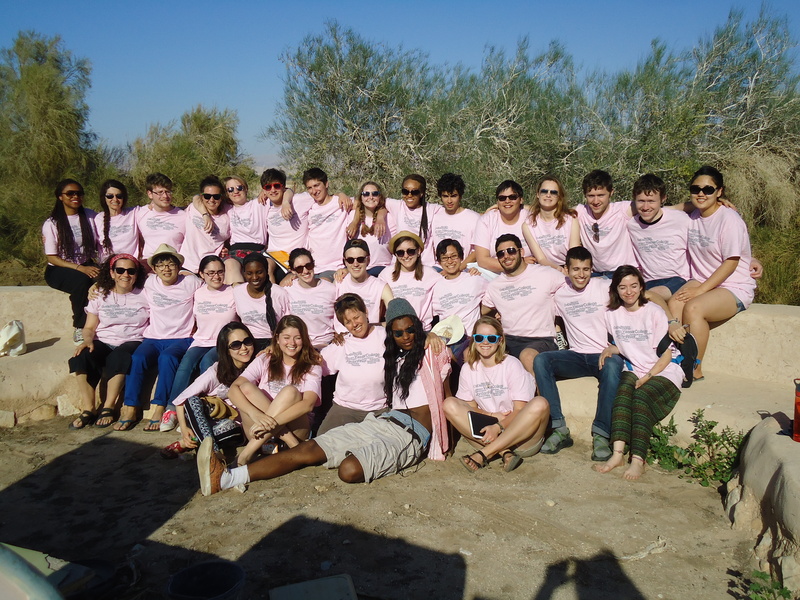 Not long after we returned from our study trip, the folks at the Vassar’s magazine for alums asked to interview some students who particpated in the study trip. We spent quite some time talking about the study trip and sent photos when we were asked to do so. Sadly, VQ never published the article. Why? I wanted to write to you but I kept putting it off. 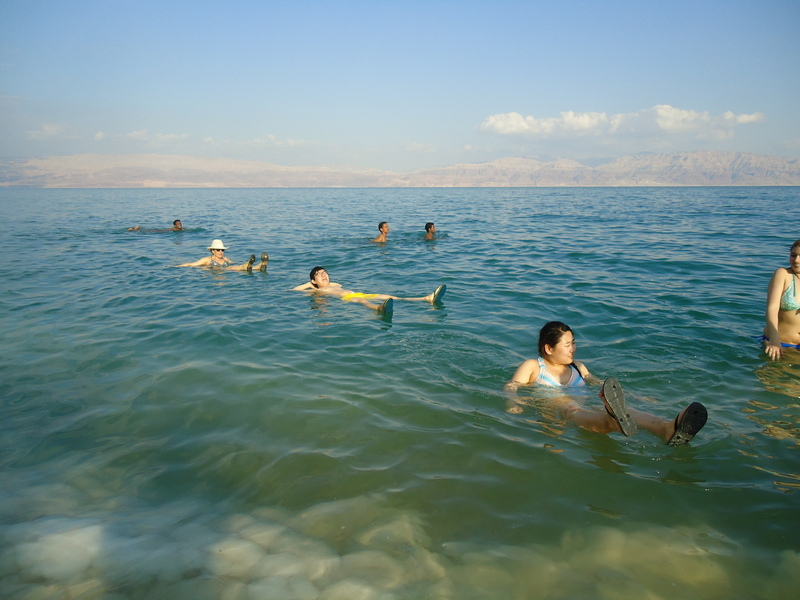 Over time I realized that I was afraid to wade into these fraught waters because the events of last year surrounding my study trip to Israel and the West Bank territory caused me much trauma. 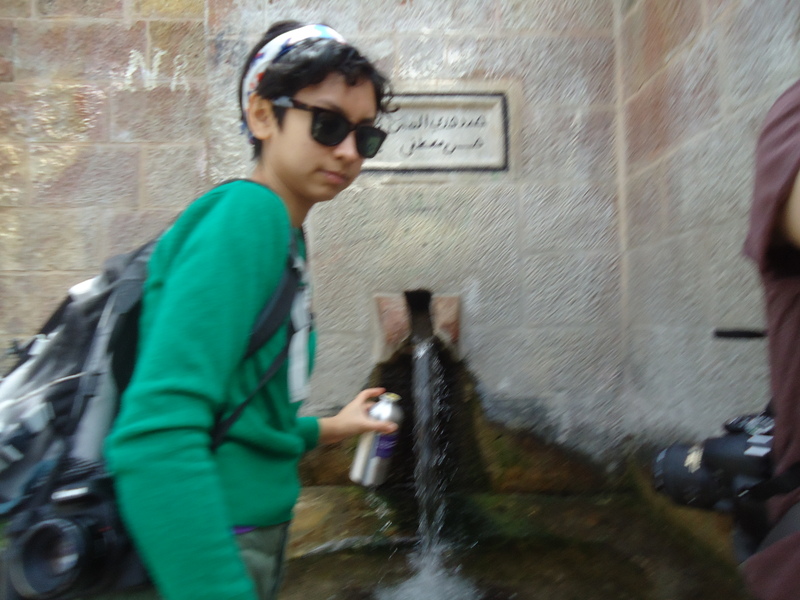 But then it occurred to me that my reluctance to reach out to you equated to being silenced by SJP students and faculty who support the BDS movement. 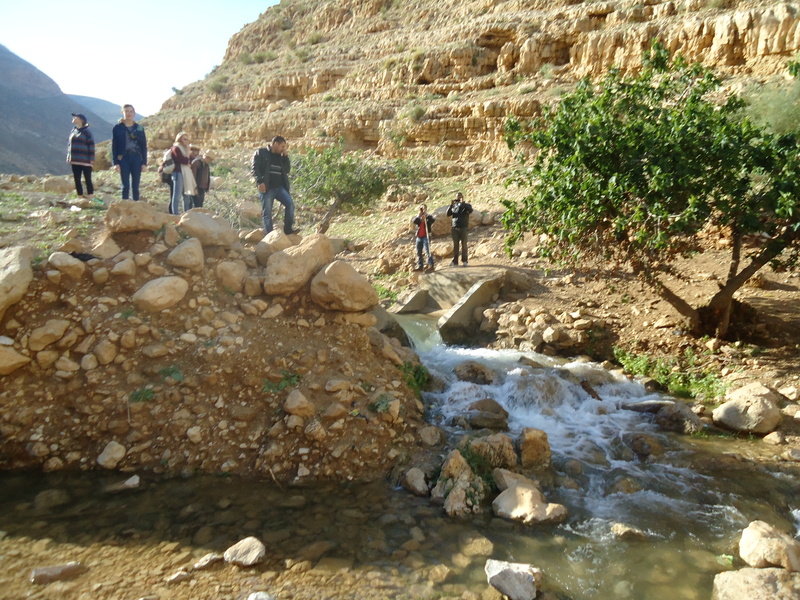 Today I read the New York Times piece about water issues in israel and the West Bank and saw a photograph of the water channel in the West Bank town of Auja where my students learned directly from Palestinians the implications of having no control over groundwater flowing through the aquifer beneath their land. 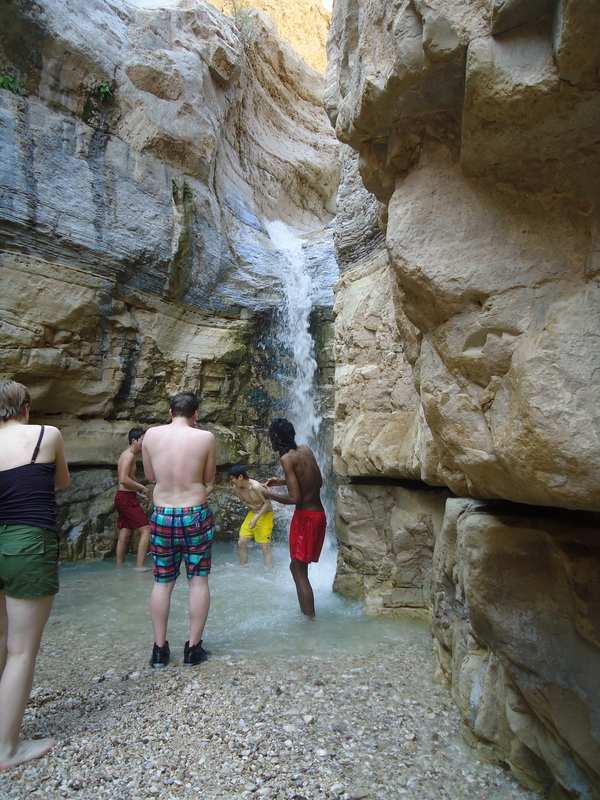 Palestinians in Auja, West Bank, showing Vassar students Auja Spring, the source of their town’s water supply. 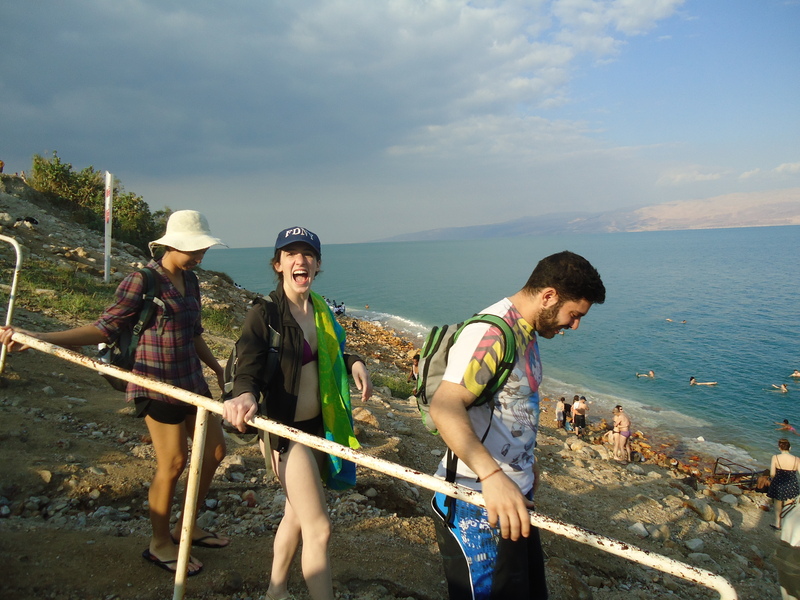 The article reminded me once again of the value of traveling with my Vassar students in Israel and the West Bank to wrap our minds around issues of water justice in that parched region. 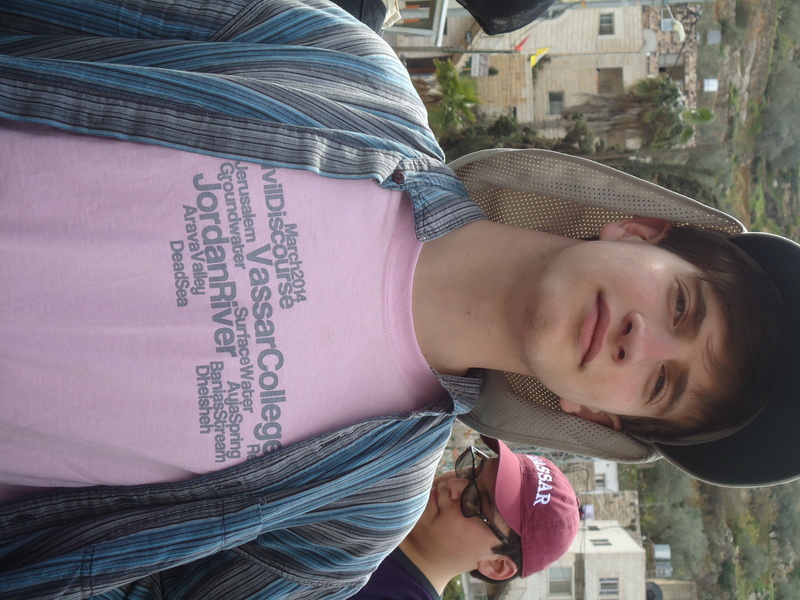 In writing to The Miscellany News, the Vassar’s student-run newspaper, my colleague and I attempted to communicate to our academic community the virtues of traveling the length of the Jordan River meeting with young Israelis, Palestinians, and Jordanians who work collaboratively on water resource issues. Since writing that letter, I’ve been silent about these issues on my campus for fear of being attacked once again. However, having learned as a “gay rights activist” during the AIDS epidemic that “silence=death,” as anti-semitism on college campuses rises I feel it is a matter of integrity to say that I stand with you. May we work to preserve freedom of speech, at the very least, on college campuses. Posted by Jill S. Schneiderman in Anthropocene, Chthulugene, Ecozoic, Elachistocene, Eremozoic, geologic time. If one accepts the idea that there is indeed convincing geological evidence for a new geological epoch (and I place myself in that camp) then there is obviously a need to name that epoch. However, geoscientists are not the only people who are entitled to challenge the proposed name and suggest alternatives. The history of science has shown that it is healthy for science to endure questioning about nomenclature from within and outside of the scientific community. I agree with those who critique the proposed term “Anthropocene” for using the species category in the Anthropocene narrative. Inequalities within the species are part of the fabric of the planetary environmental crisis and must be acknowledged in efforts to understand it. Perhaps we should propose a name that is consistent with previous schemes of naming segments of the geologic time scale. Understanding the consistent semantics (as opposed to the inconsistent rationale for names of Periods of the Paleozoic and Mesozoic) is an important tool for settling on a name that achieves the purpose of acknowledging a new epoch while at the same time avoiding the pitfall of the homogenization all of humanity. As many people know, the suffix –zoic means “life” thus, Paleozoic is ancient life, Mesozoic equates to middle life, and Cenozoic refers to new life. The epochs of the Periods of the Cenozoic Era are named to indicate the proportion of present-day (Holocene) organisms in the fossil record since the beginning of the Cenozoic era roughly 65 million years ago. Paleocene is derived from the Greek word palaios, meaning “ancient” or “old,” and kainos, meaning “new”; Eocene from eos meaning “dawn” of the new; Oligocene from oligos meaning “few” or “scanty” new; Miocene from meion meaning “less” new; Pliocene from pleion meaning “more” new; Pleistocene from pleistos meaning “most” new, and; Holocene from holos meaning “whole” or “entirely” new. Therefore, why not label the new epoch with a name that acknowledges the much less contested sixth extinction and increased diminishment of species on Earth in this epoch? What could we name such an epoch? When I asked my colleague Rachel Friedman, a classicist, what would be the Greek for diminished amount of new life she explained that the antonym of pleistos (as in Pleistocene) would be elachistos and would be the prefix that might help me come up with a name that would acknowledge the diminished amount of species compared to the Holocene epoch. Though it isn’t the most elegant English, Elachistocene would mean “least amount of new” and I propose that name instead of Anthropocene for it adheres to the geological schema yet avoids the homogenization of humanity so problematic in the term Anthropocene. Though I would make a friendly amendment to feminist scholar Donna Haraway’s suggestion to name the new epoch the Chthulucene (“subterranean born”) and propose Chthulugene as the name for the Period to which the Elachistocene belongs, might we take the opportunity of naming our new geological epoch to consider the designation of the Era as well? Theologian and scholar Thomas Berry wrote prolifically, pushing what he called “The Great Work” — the effort to carry out the transition from a period of devastation of the Earth to a period when living beings and the planet would coexist in a mutually beneficial manner; the result would be the erosion of the radical discontinuity between the human and the nonhuman. This vision of the Ecozoic stands in stark contrast to the notion of the Eremozoic Era imagined by renowned entomologist E. O. Wilson – the Age of Loneliness when other creatures are brushed aside or driven off the planet. Posted by Jill S. Schneiderman in Anthropocene, earth community, Ecozoic, geologian. A recent Scientific American article published the remarkable image of a fossil of the early horse species Eurohippus messelensis unearthed from strata at a one-time site of oil-shale mining in Messel, Germany. Though well-known for the remarkable array of Eocene epoch (roughly 48 million years ago) organisms entombed in those strata, the early horse fossil standouts among the others; the fossil preserves the bones of a mare and her unborn foal (circled in the image above) in their correct pre-birth anatomical positions. The find reminds me that fossils of extinct organisms are the remains of entires species, not just the bones of individuals. Each organism traversed an arc from birth to death and in the process reproduced members of its own species. Darwin helped human beings see this and evolutionary biologists and paleontologists that succeeded him have theorized the mechanisms that allow the reproduction of species. But this fossil makes visible reproductive capabilities of our more distant vertebrate ancestors. What’s more, the fossilization of a pregnant foal calls to mind the reality that, in the Anthropocene epoch marked by the sixth major mass extinction of life on this planet, human beings must admit the questionable ability of organisms living today to reproduce and survive extinction.